Replacement or alternative safelight filter for the Kaiser safelight, this is the same filter as supplied new with the Kaiser safelight. 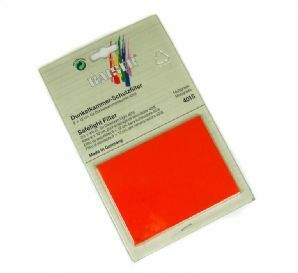 Designed for multigrade papers, not advised for more old fashioned papers such as Adox fine print Vario Classic. Can be used with graded papers - a good general all rounder. If in doubt always conduct a safelight test first.